ICC Services was formally established on 11 May 2005 as Internationale Gesellschaft für Getreidewissenschaft und -technologie GmbH. ICC Services is a limited liability company (German: GmbH) fully owned by the International Association for Cereal Science and Technology (ICC). 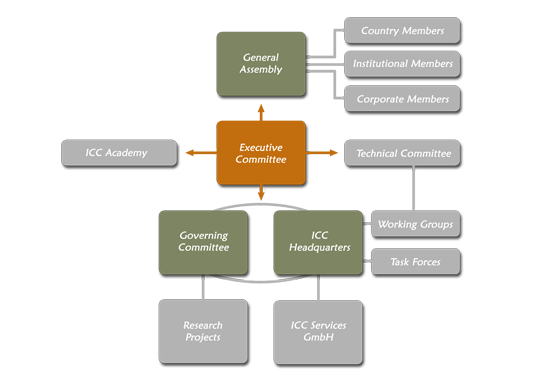 Its primary aim and commitment is to better serve the present and future tasks of ICC and related stakeholder groups, such as research project consortia, food related associations and ICC member institutions. ICC Services is active globally and is an experienced provider of services for science and technology transfer, for research management and dissemination of research results and publications. With some 50 organised international meetings on record, ICC Services has emerged as a well-known Professional Conference Organiser (PCO) for scientific and trade events in any part of the world. Design and realisation of websites, posters, leaflets, logos, promotion materials, etc. The Executive and the Governing Committees of ICC are the strategic decision making bodies for the scope of offerings, contracts and finances. The ICC Secretary General formally heads the ICC Services and is responsible for the operational and financial leadership of the company.